Decided to finally get Heroes 6 last minute on the Steam sale, can't figure something really simple out though; how do you add another player on a custom game? I can add more AI players, but not more humans, is there a way to do that or is it just supposed to be that way? This reply is a bit late, so I hope you already figured it out. You cannot at human players in a custom game. For adding human players you have to make a multiplayer-hotseat game. Then it is possible to add human players the same way as you would add AI players. How do I unlock the Heart of Nightmares map? I've bought all the DLC that's on Steam, and it's still not letting me play it. I'm not sure, but wasn't that map part of the deluxe edition or the pre order or something? i have a hero level 30 without tactics with 4 stacks(seraph, vestals, Sun Crusaders and Blazing Glory); for some reasons, no matter what i tried, the blazing glory always get on the sides at the beginning of a battle; is there a way i can put those in the center? Edited by taltos at 17:04, 09 Oct 2014. Possible re-play one of the original campaign, that the final campaign let it be to select an other mission (with new affinity) or if I carried it out once, the CONFLUX system saves it so finally then? To delete something in the maps possibly? I have a question regarding the Town Screen/Town Window option. According to the Might&Magic Heroes (VI) Wiki, it has become possible for players to choose whether they want a Town Screen or a Town Window. I have Shades of Darkness installed (not via disk, but only redeemed the code in-game), but I can't find this option. Can anyone perhaps tell me where to find it? Edited by Avonu at 13:15, 14 Jan 2015.
it has become possible for players to choose whether they want a Town Screen or a Town Window. First of all, Heroes 6 didn't have any town screen, only 3D adventure map town model. Later, after much of fanbase backlash, Black hole added flashy town windows. Only much later Heroes 6 aquired 2D town screens and previous versions were removed. So in the end - town screens from Shades of Darkness are only town screens available in game. I don't fully get it, I'm afraid...if what you say is true, then does that mean that the info on the Wiki is wrong or outdated? "Original town screens were replaced by town windows in order to minimize heavy CPU usage and save loading time, but were returned in the first add-on due to major fan requests. In Shades of Darkness, an option was made to choose to have either windows or screens.."
You show both options, the one as it is now and what it once was. I interpreted the info on the Wiki as such: you can choose between the two. But apparently that is not even possible (anymore). Edited by LucPatenaude at 04:08, 06 Feb 2016. Yes, the Heroes 6 Wiki is now, a thing of the very long ago type of past tense info. Only Shades of Darkness' Stand-Alone game matters, now. It comes at version 2.1 at first download of the game when digital purchase is done. Purchasing the 2 DLCs in order to activate the in-game maps is quite recommended. Adding the original game to it as an add-on is not so recommended. As it can come unpatched even through the digital download of it all(Not tested it, so, I do not know, just yet). She's way more enjoyable than Heroes 7 for now. 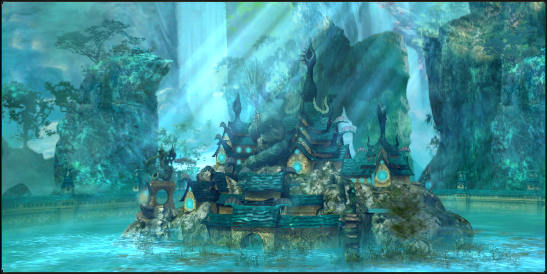 Still waiting for its(H7)February patch + Add-on mod that renders Heroes 7 playable through the magnificent landscapes of Axeoth(Heroes 4). Heroes of Might & Magic VI-Complete Edition is, also, available as of right now at the same store page(Steam) as for the S.o.D. 's S-A Edition. Edited by LucPatenaude at 14:57, 18 Mar 2016. More on the Heroes VI: Complete's Store. For a mere 10$ more(29.99$ CAD), you now, can buy the Deluxe Edition of MMH6:Complete. This newest release, has a few more features added to its overall contents and, as it was promised before, a Gigantic sized map of the entire world of Enroth covering both classic titles of Heroes II: The Succession Wars all the way to Heroes III: Shadow of Death v.3.0(minus the Conflux faction that was added further down the road of this title's Complete Edition at version 4.0). So, obviously, the overground of this world is Erathia and, the underground of this world is Sheogh. Might have a Gigantic sized map covering Axeoth but not too sure about that one(Heroes 4's lore's continuity of the escape from the destroyed world of Enroth). The world of Xeen of the very old franchise of the RPG game series of Might & Magic(1 to 9) is also included in the vast quantities of Pre-Made maps of this grandiose Complete-Deluxe Edition. As you can see, Heroes 6 is not only the prequel to Heroes 5 and its two expansions(both on the newest world of Ashan, BTW)but, is also a teaching tool at how it looked like all the way back in the previous releases of Heroes of Might and Magic of the 1990's(Minus Heroes 1 of course). Do hope that you liked or, even, appreciated this overview of the growing history of medieval strategy gaming such as HoMM. Edited by Dies_Irae at 11:08, 22 Jul 2016. What a surprise to see you here . Depending on the kind of questions you have, I'd happily throw myself in as volunteer. It's likely that I have to play the maps again, but that would be no problem at all anyway. The Succession Wars - Featuring Roland and Archibald Ironfist. So, what is it that you want to know? Edited by Dies_Irae at 19:20, 23 Jul 2016. This map consists of a surface area and a subterranean area. The latter is the Darkside of Xeen, above you see a zoomed in minimap of that part. The scenario is scripted to also have an 'area in between', which is the castle of Lord Xeen. You reach this area by going through a portal located next to Darzog Tower (a fort). After defeating Xeen you're teleported back to the regular surface area. Special info: In capturing this town you free Kalindra, who will then join you as the only other available hero in this scenario. Special info: Capturing this fort opens the gate to Castle Alamar. The Witch Tower thing isn't the only error in this scenario. If you're unlucky, the gate to Castle Alamar won't open and you're stuck camping there forever...as happened to me in this session (and also once before) . Edited by Dies_Irae at 19:16, 23 Jul 2016. Special info: This town must be developed (with a Tear of Asha-building) in order to open the gate to Darzog Tower. Special info: Capturing this fort opens a gateway to the 'area in between' where you fight Lord XEEN in his castle. Defeating him opens the passageway to the Darkside. Edited by Dies_Irae at 19:38, 26 Jul 2016. Numbers above are inserted somewhat randomly, it doesn't reflect the order in which I conquered these towns and forts. This map has no subterranean area, but is scripted with a Boss-unit as one of its sidequests. Almost all Forts don't have a name of their own, they are just called after the faction they're turned into. Faction: Stronghold, so the fort's name is simply Stronghold Fort. This goes for all the nameless forts in this scenario. Obviously, the AI didn't bother to expand much, that's why I ran into so much Neutral stuff . If they had been conquered I would have given you different team info, because I don't know the affiliation of these buildings when the game begins. The information above is all based on the moment I first encountered a town or fort. Well, except the starting city of Ragnar Ironfist. It had already been conquered by Agar before I got there. It hadn't been converted to Stronghold, much to my delight. Can who help me with the Editor? I need to know how i can choosen Monsters buy at a Dwelling. Virtuosgames.com is a Chinese company that is regularly contracted to work and help develop games for both console and PC platforms alike. There was work done for patching that B.S.O.D. upon launch of the Might and Magic VI-Shades of Darkness game. I haven't heard much about it for many months now. Anyway and, in the mean time, They've helped Ubisoft develop and release the latest in mobile gaming of another title of the Might and Magic Heroes type of game. It's name is Might & Magic-Elemental Gardians; An RPG/Strategy game based on the world of Ashan by using lands of that world that were not used nor explored before. MM-E.G. happens 100 years before anything that happens in Ashan of the title: MM-Heroes VI. Therefore, is intended to be a prequel to that Heroes VI's time frame of events. Launched ever since: March of 2017 on Android and iOS mobile devices. To conclude this FAQ post, there is, still, hope for an official patch for Heroes VI. 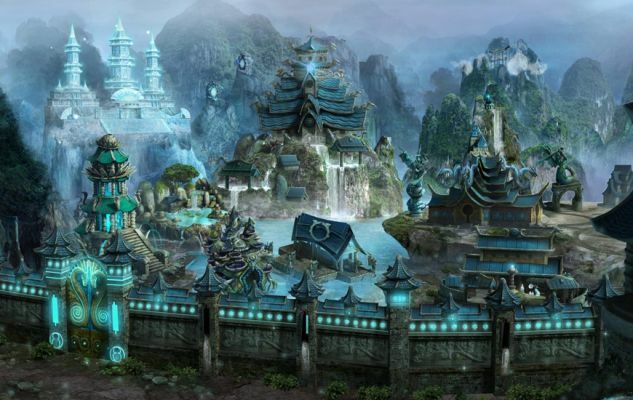 Hopefully, Virtuos might very well be underway to totally revamp Heroes VI altogether. Side note: Virtuos is clearly showing in the credits of arcade mode of the Capcom based game of Marvel vs Capcom Infinite and, their recent game and server premature connectivity disconnections' fixes prove to be working quite well in that game's regards. Hope is always in the horizon for all that is: Might & Magic Heroes.